Have you missed the Classic start menu in Windows 8 and lost? Here is a rescue for you to get back in a start. Microsoft has removed many the classic Windows features such as Start screen has been introduced instead of Start menu and Metro styled UI Themes has been incorporated. Also the Aero Glass transparency feature was removed. After the Start screen adoption in Windows 8, launching your apps aren’t easy before now it needs few more steps. Fortunately, We have some alternatives to get the old start menu back as an option. Vistart 8 is a small but powerful Windows Applications that can enhance your windows start menu. With cool custom start menu skins like the windows 8 start menu metro skin, start menu buttons and lot’s of extra features. 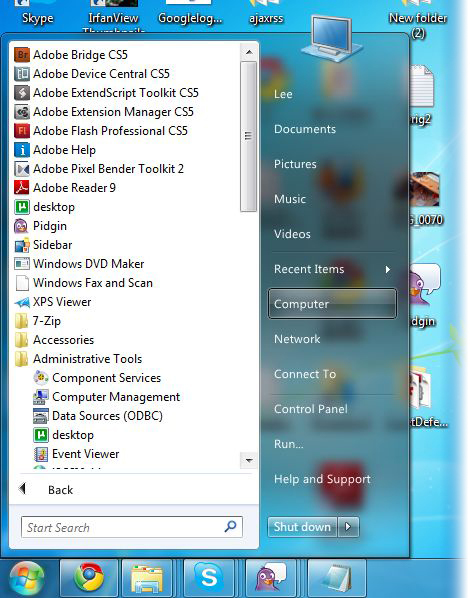 The ultimate start menu for Windows 8 and competable with Windows 7, Vista and XP you can download for free. So get your start menu back in windows 8 or replace your start menu in windows 7, Vist or XP. ViStart8 also has skin support, so you can create your own skins and can change its look in Windows 8.